Create personalized quilt blocks, borders and labels! 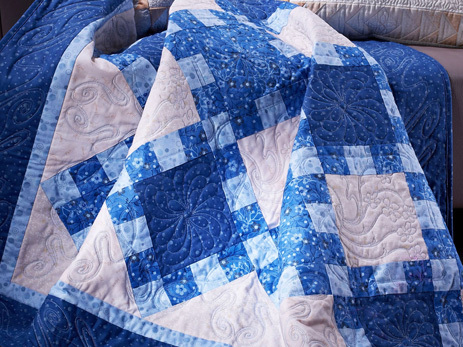 Whether you are a frame quilter or an embroiderer, 5D™ QuiltDesign Creator will help you to quilt a masterpiece. 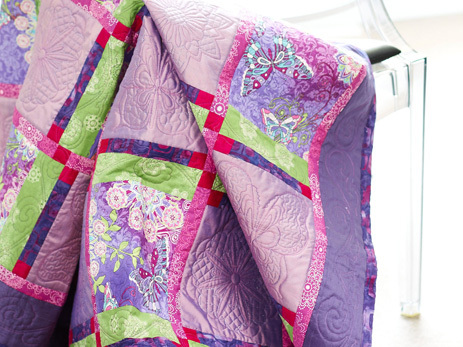 Use step by step software wizards to create quilt blocks, design elements or borders for your automated quilter or embroidery machine. Create filled or outline pieced quilt blocks automatically, trace a picture, use one of over 350 designs and MiniPics; draw your design or create text. From the makers of the 6D™ and 5D™ Embroidery System, 5D™ QuiltDesign Creator is available as a standalone boxed package from your authorized sewing machine dealer or as an Internet upgrade for INSPIRA® 4D™ QUILTDESIGN CREATOR or INSPIRA® 4D™ QBOT software.